Having been developed by Chinese medicine over 5,000 years, this is a type of massage that uses pinpoint pressure on certain parts of the body. By specifically targeting these specific parts, tensions that normally build up within these areas are released, giving the person significant relief. The acupressure massage uses the same principles as acupuncture treatment in that they target the same acupoints. However, they don’t use needles to “puncture” these spots. Instead, they apply pressure, which is where the massage got its name. What’s interesting about this massage is that it can be done on yourself if you know how. When done properly, it can provide immediate relief for certain sickness and conditions. This is a kind of therapy that is based off traditional Japanese massage techniques introduced by Gan Jon Osho, a Buddhist Priest who practiced the Chinese anmo back in the 6th century. It was further developed in the 17th century by Waichi Sugiyama, who established schools for the blind. Being blind himself, Sugiyama taught the blind the ways of amma and they became quite common in the 20th century. Amma uses a technique that combines application of pressure on acupoints with deep-tissue massage. This aims to cure the imbalances in one’s system, refreshing the entire body after. 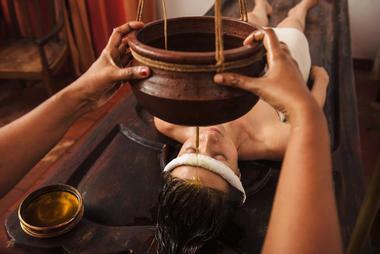 The Ayurveda Massage gets its roots from India. It’s a technique that focuses on the body’s chakras and marmas, which are similar to the acupoints in Chinese medicine. According to tradition, the body is filled with countless marmas. The massage, however, will focus on 107 major marmas that are all found at the junctions where the joints, bones, arteries, tendons, flesh, and veins meet. This is also where most body pains meet. The massage also uses oils in order to employ techniques that aim to open and cleanse energy channels that could be blocked over time. The technique also stimulates all the senses, which also contributes to the healing process. This is a Chinese detoxifying massage that is said to treat the emotional conditions that have been associated with diseases. It targets the body’s organs, specifically the ones affected by any illness, in order to help with healing and recovery. Chi Nei Tsang uses old Taoist techniques where the organs are gently but deeply massaged, which results in physical, spiritual, and emotional relief. When translated, the phrase “Chi Nei Tsang” means to work the internal organs. The abdomen is normally oiled up so it feels warm before it is subjected to massage strokes with the palm. Sometimes the person would feel some pain because the organs are indeed being targeted, but feels relaxed after. One way to look at Jin Shin Jyutsu is to see it as an incredibly simple version of acupressure massage. This is because it follows the same principles of accupressure, except that it only focuses on 26 points, which are few compared to the 300 points that acupressurists work with. These 26 points are called SELs, which stand for Safety Energy Locks and are located along the body’s energy pathways. Using his hands, a Jin Shin Jyutsu practitioner will hold on to a combination of these SELs and gently massage through them, allowing the client to experience the flow of energy, which can be as relaxing as it is healing. The word means “finger pressure” in Japanese, but the massage actually uses a wide variety of techniques such as soothing, pressing, kneading, tapping, and even stretching in order to induce relaxation of the mind and body. Although a kind of Asian massage in itself, Shiatsu further branches out into different styles, with all having some association with one of the three massage systems that originated in Japan back in the 1900s. This kind of massage is actually commonly known even in the west. Unlike other well-known treatments, however, this kind of massage does not use any oil at all, and can be done while the client is fully clothed. Thai massage is a full body contact massage that uses a combination of Indian Ayurvedic principles, acupressure massages, and yoga poses. It generally does not use oil and can be applied with the client fully clothed. 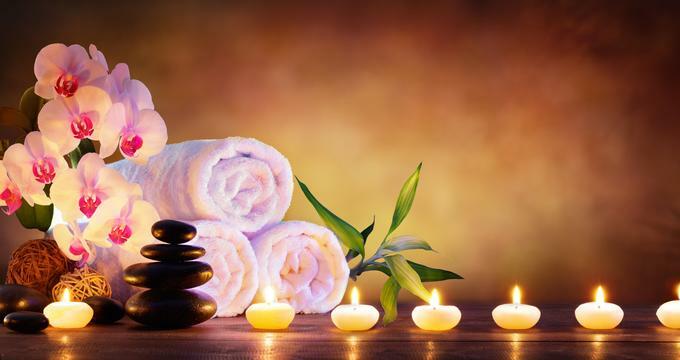 During the massage, the therapist will be following identified lines along the body, and the client will be positioned in a way that they follow these lines. Hence, the client can expect being put into different positions on top of his fingers and extremities of the body being pulled and some knuckles being cracked. Of course, much like actual yoga, the client would feel relieved after the session, which normally lasts for up to two hours. Asian massages have really come a long way since they were developed by ancient Asian tradition. But no matter how different they are, they all have the aim of promoting health and wellness to those who experience it. If you haven’t yet, you should make it a point to try them all out and see which one suits your needs and preferences best. Of course, don’t hesitate to ask your therapist if you want to know more about the treatment you’re looking to get so you can make the most of the experience.